Cardiomyocyte apoptosis plays an important role in ischemia/reperfusion (I/R)-induced myocardial injury. Autophagy is suggested to be widely implicated in regulating cell survival and death. The cardioprotection of sevoflurane postconditioning has been long recognized, but the underlying mechanisms are not well understood. This study aims to investigate whether the cardioprotective effects of sevoflurane are associated with autophagy regulation. 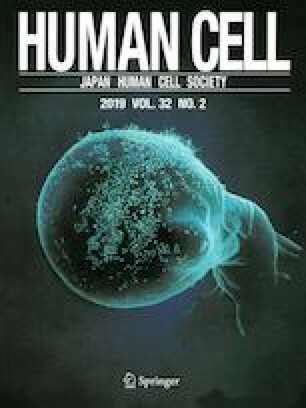 An in vitro hypoxia/reoxygenation (H/R) model was established in human induced pluripotent stem cell-derived cardiomyocytes. The results showed that autophagy was activated in cardiomyocytes upon to H/R conditions, followed by increased LC3B puncta. Sevoflurane treatment or autophagy inhibition markedly attenuated H/R-induced cardiomyocyte apoptosis. However, the effect of sevoflurane was reversed by autophagy induction. Moreover, sevoflurane significantly blocked H/R-induced autophagosome formation and autophagic flux. Mechanistically, we found that sevoflurane regulated H/R-induced autophagy through mTOR-independent mechanism. Sevoflurane inhibited the increase in PI3KC3 phosphorylation and Beclin-1/PI3KC3 complex formation under H/R conditions. Taken together, these results demonstrate that sevofluran ameliorates H/R-induced cardiomyocyte apoptosis by autophagy inhibition via reducing Beclin-1/PI3KC3 formation and PI3KC3 activity. This novel mechanism may help to better understand the functional role of sevoflurane for the treatment of cardiac I/R injury.